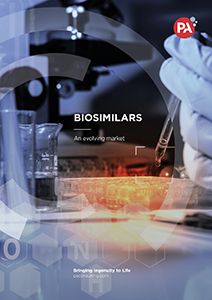 As a new generation of biosimilars is reaching the market, companies are working out how to win the hearts and minds of customers, it’s not just about price. And they’re deciding which commercial models to adopt in an increasingly complex market. Our research provides key takeaways for executives in biosimilar companies looking to bring drugs to market. And for executives in originator companies trying to develop strategies to defend their products against biosimilar competition.